Well, I made a wallpaper for people like me, who like their desktops simple and monochrome, and I didn't know if the artwork and development section was appropriate, so I'm posting it here. Feel free to use it. Also, I like doing small-time gfx works such as these, so I might post more (icons, conkies), but don't know which section is right for this, since it's not official artwork. 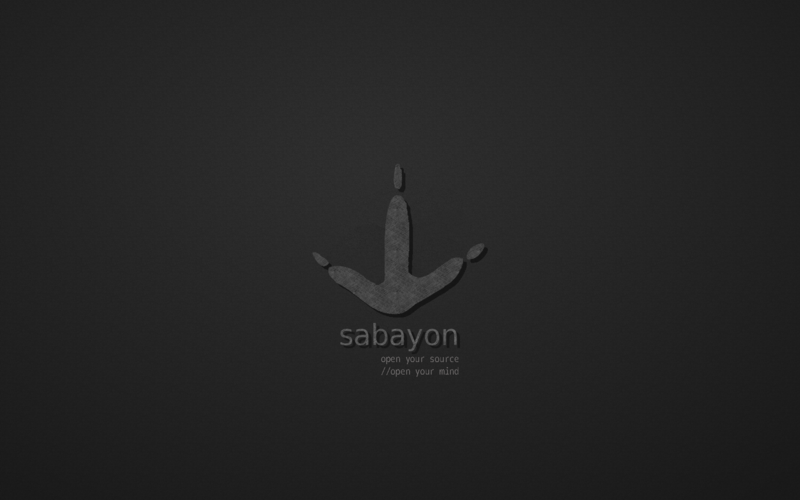 I am moving this topic to the artwork section, since it is still a Sabayon oriented wallpaper. The artwork and development suggestions section is not tied to official work or suggestions, since Sabayon is a community oriented project, so any user is free to contribute or suggest his or her own artworks, projects or opinions. That's really nice dalian, thanks a lot for sharing!